1 x single rod of Boro Corona measuring 7mm dia x 490mm long. 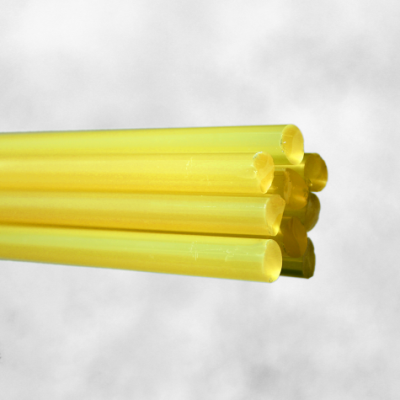 A vibrant, smooth-working translucent yellow. Bring up the heat base in the back of the flame to avoid boiling.